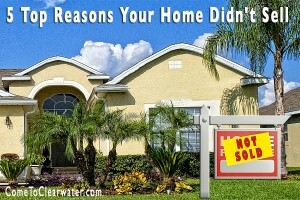 Over the last few years if your home didn’t sell you could blame the bad market. Today, not so much. Markets are rebounding and now blame can be placed where it probably belongs: seller or realtor. 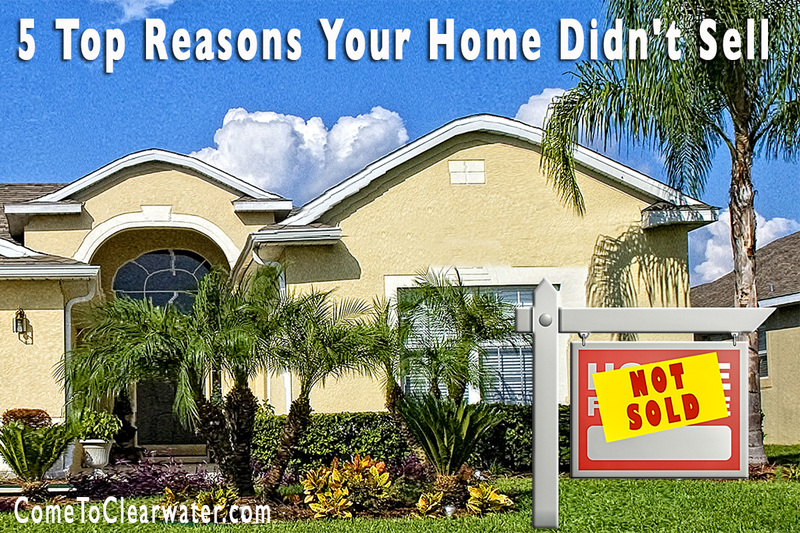 Here are the top reasons why your Clearwater home didn’t sell. Location matters. Your neighborhood matters. If you have issues like a busy street or you live close to things like power plants, high tension wires, waste treatment facilities, airports, train tracks or some other issue, getting it sold can be challenging. Some can be mitigated with sound proofing, but others not so much. Price is one of the biggest factors in whether a house sells and how quickly. If your home is priced right, it will sell. Over price it and it will sit. Getting the best price doesn’t mean listing high and negotiating down. Over pricing will mean those who will be looking for your home, those who want to look in your price range, won’t see it. Those who do won’t be interested since they want a home of higher quality a higher price brings. Plus the longer it sits, the more people avoid buying, after all if it hasn’t sold something MUST be wrong with it, right? THAT is exactly what buyers are thinking about your overpriced home that has been sitting for months. Condition covers a lot of things: needed repairs, cleanliness, whether the home has too much clutter, pet smells, cigarette smoke smells and so on. Putting repairs off onto buyers will keep them from buying. Unless they are looking for a fixer upper, but that means they will underbid it. Clean up, fix it up, declutter and make your home shine and people will buy. Make your home available to be seen. Sounds like an obvious thing, but allow your realtor and others to show it. Use a lock box. It allows agents to show your home while you aren’t there. Electronic lock boxes also keep a record of who accessed your home. That way your Realtor can follow up. This one is squarely on your Realtor. A good realtor will have a proven track record about how to effectively market homes. If they don’t, find one who does. Don’t make these mistakes and you will sell your home!